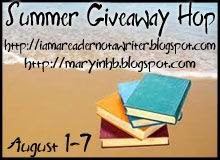 I am participating in the Summer Giveaway Blog Hop, hosted by I Am A Reader, Not A Writer and Bookhounds. This hop is scheduled to run August 1st through 7th . To enter, all you have to do is follow my blog and leave a comment at the end of this post, letting me know you are a follower and sharing your favorite thing about summer. It might be having the kids home from school, the family trip to Disney World, flip flops, or the feeling of the sand between your toes at the beach. I am looking forward to a great list! 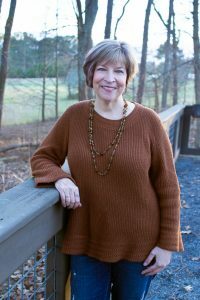 For additional entries, you can follow me on Twitter (click HERE), “like” my Facebook fan page (click HERE) or friend me on Goodreads (click HERE). Leave an additional comment for each additional entry. At the end of the week, one lucky winner will be chosen by a random number generator to receive a $10 Amazon gift card. Be sure to leave your email address with your comment so that I will know how to contact you should your name be selected. Click HERE for the links to 300 or so other blogs that are also doing book-related giveaways. All contests begin at midnight Eastern time tonight (Tuesday); any entries received prior to that time will not be included in the drawing.